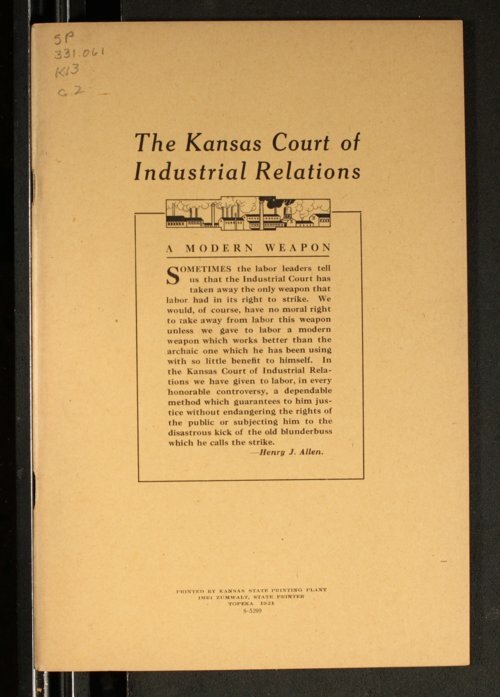 This pamphlet includes: The Growth of the Industrial Court Idea, The Industrial Commandments, Legislative History of Industrial Court Bill, Address by Governor Allen to the Kansas Bankers' Association, Industrial Justice by W.L. Huggins, Address of Hon. F. Dumont Smith, Judge Dillard's Plea, and a Resume of the Court's Activities.